We love entertaining à la Française. 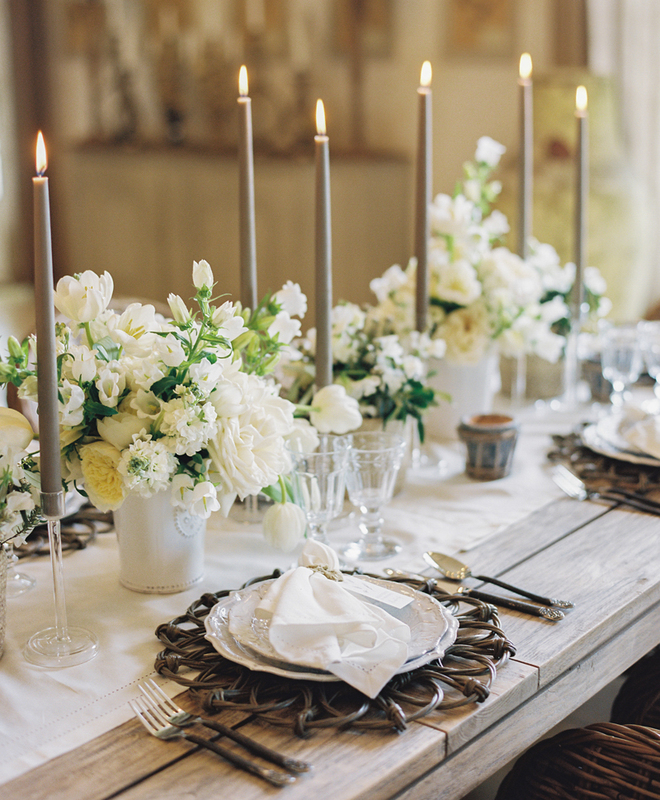 That is, gathering with good friends for a laid-back, yet absolutely charming meal. 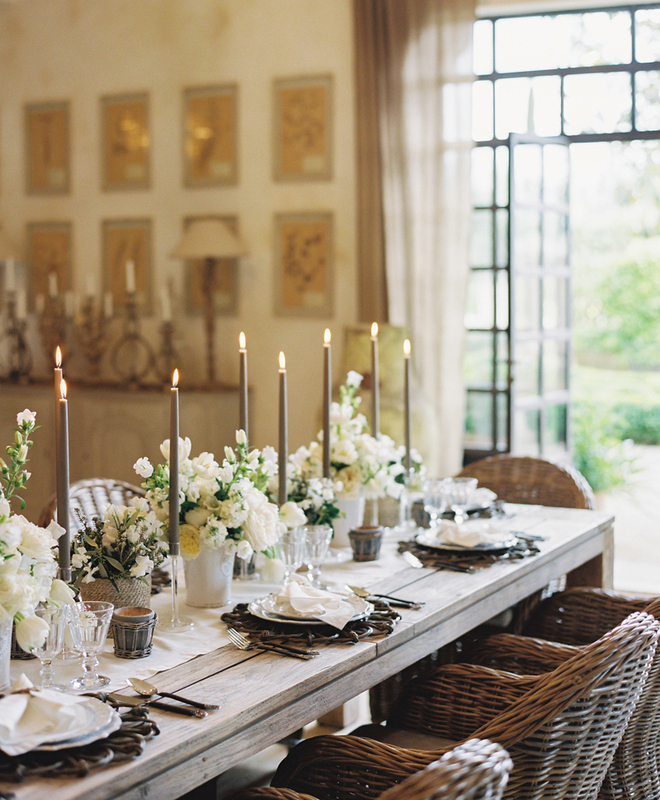 The gatherings are relaxed affairs inspired by the slow-chic essence of the French countryside. 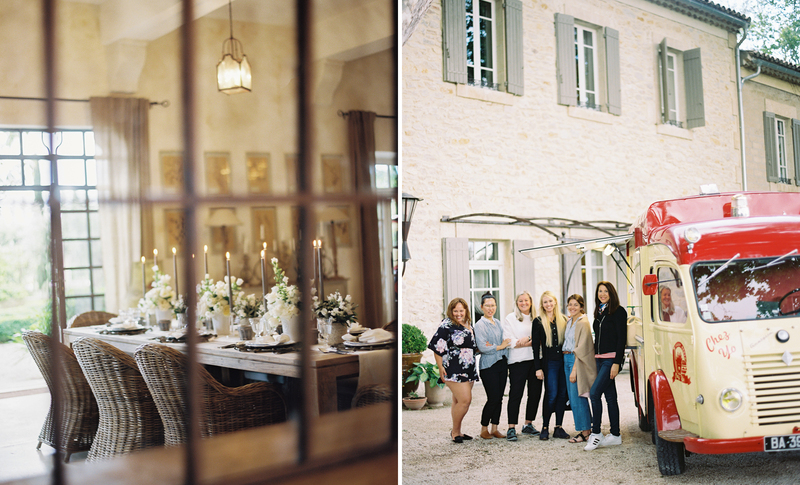 After a day of traveling from Paris to our farmhouse in Provence for the May #heartsafluttertour, we wanted to keep it sweet and easy. 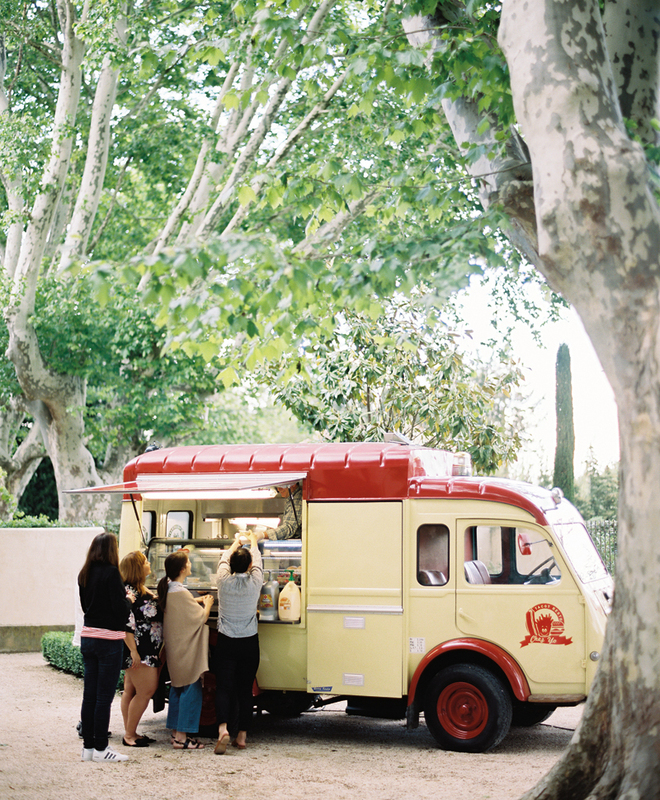 We invited Brunet Frères gourmet burger truck to stop by. 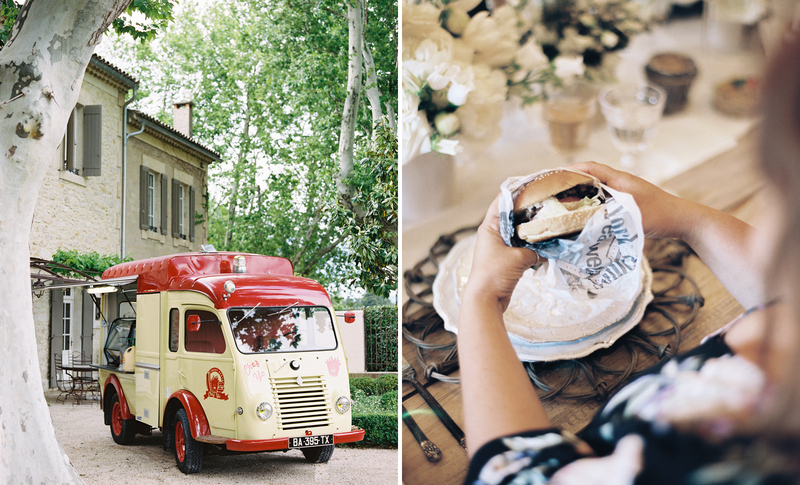 Our guests enjoyed ordering custom burgers from the cute car accompanied with a quinoa salad and french fries, of course! Want to recreate the look? 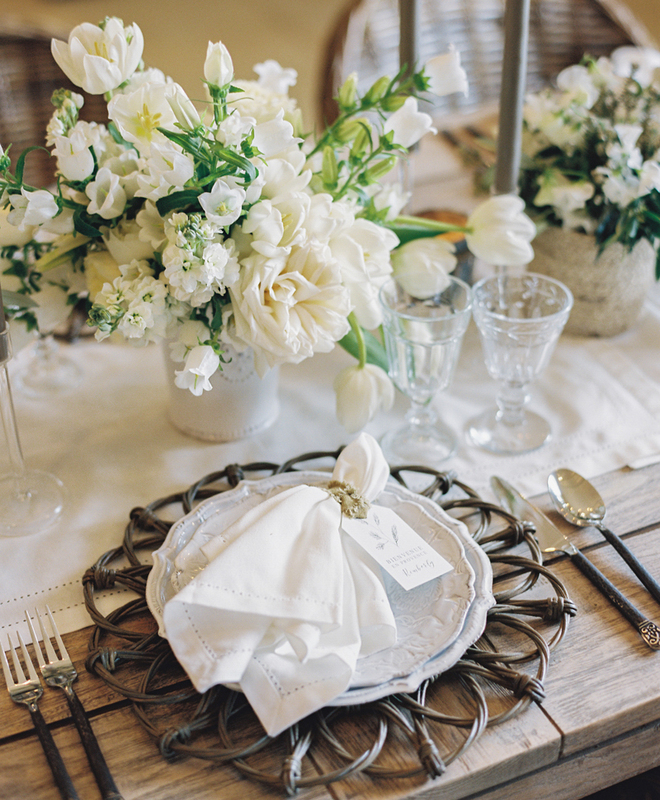 Stephanie Fayolle and Céline Jean, of Wep in Provence, worked with Joy to create the table’s organic runner with flowering white arrangements in a mix of woven and ceramic vessels, French-gray tapers, and woven stone votives. 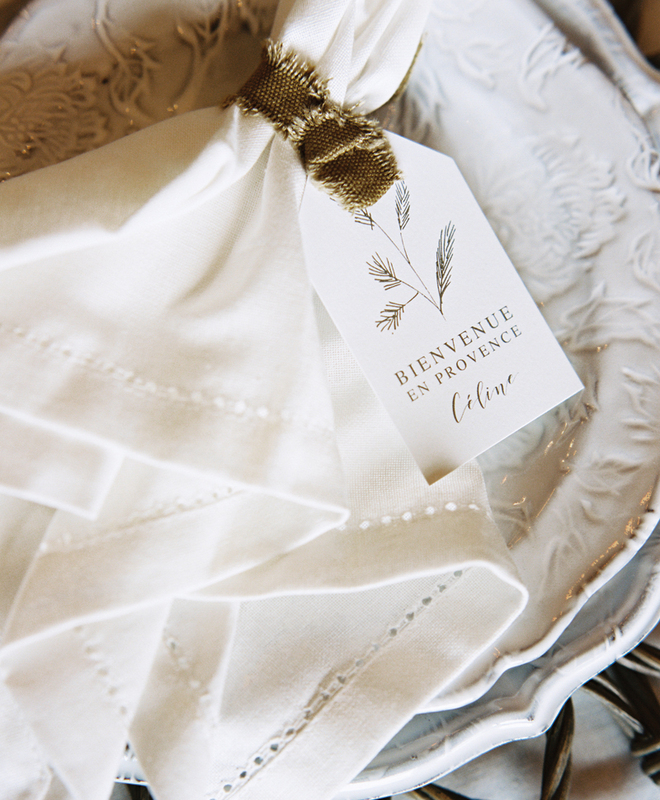 Place settings were layered with woven chargers from Theoni, Pivoine ceramic dishes from Carron Paris, and linen napkins with custom place card ties by French designer Crème de Papier. 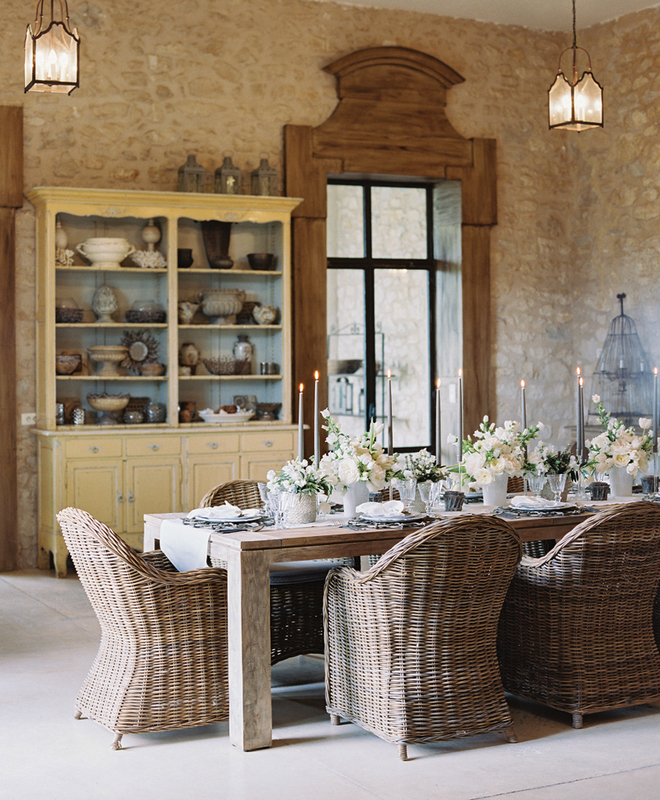 The gorgeous farm table and woven chairs were already a part of the pretty that is Clos Saint Esteve.